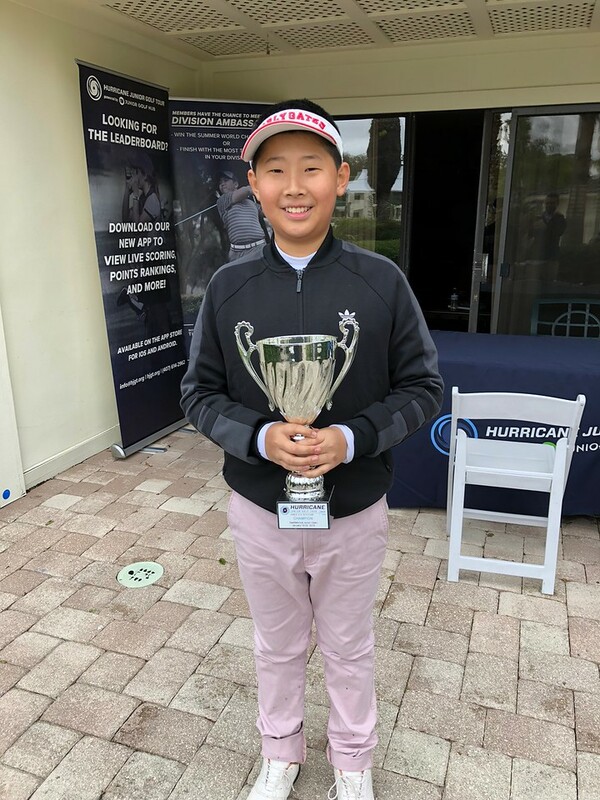 On Saturday, January 20 – Sunday, January 21, the Hurricane Junior Golf Tour held the Saddlebrook Junior Open in Wesley Chapel, FL. The tournament was made up of a 36-hole, two-day format and the field was made from four divisions that included the Tiger Woods Division Boys 16-18, Will Smith Division Boys 14-15, Ernie Els Division Boys 11-13, and the Justin Timberlake Division Girls 14-18. To view the full leaderboard click HERE! 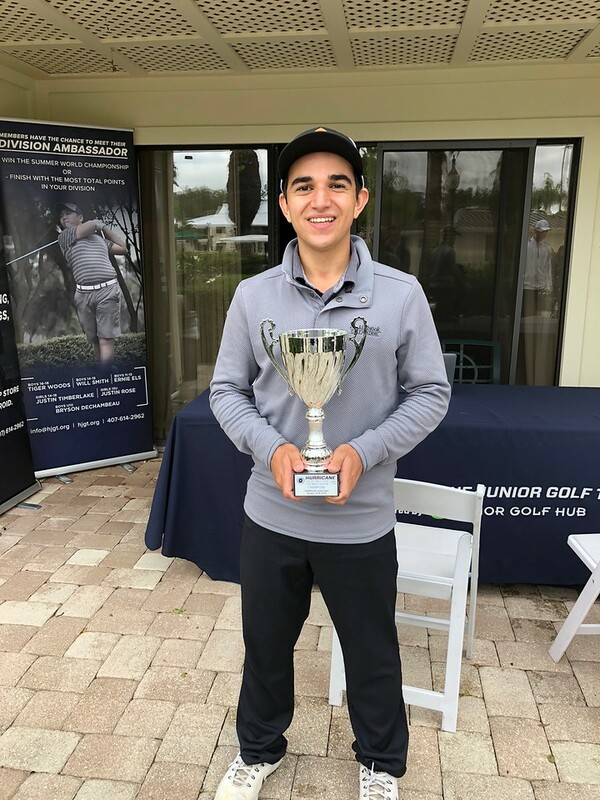 Matthew Chorches of West Hartford, CT did not disappoint in the Tiger Woods Boys 16-18 Division as he finished at 150 strokes to beat his second-place opponent, Simon Haas of Wesley Chapel, FL by just one stroke. Jack Wehle of Naples, FL received third place as he was just three strokes behind Haas. 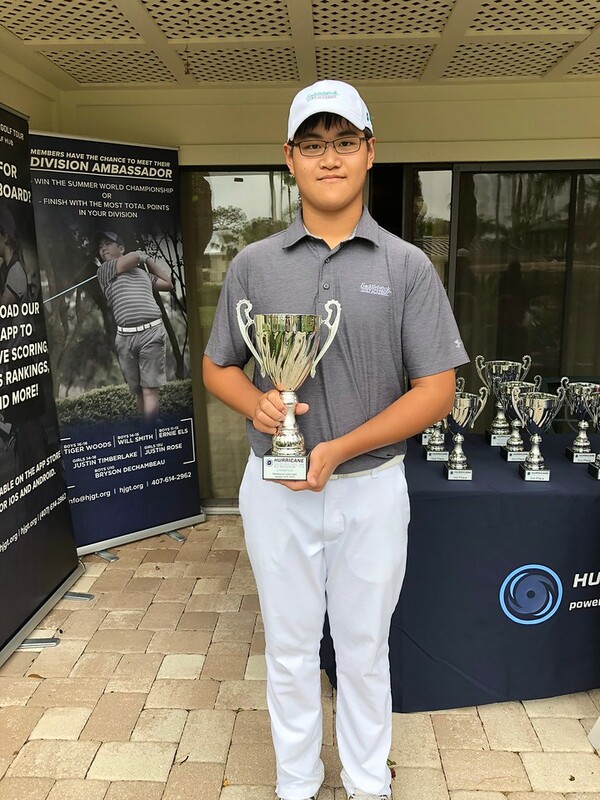 Chisen Chen of Wesley Chapel, FL had a consistent weekend as he ended up with a victory in the Will Smith Boys 14-15 Division, with a two-day total of 146 strokes. Anthony Chen, also from Wesley Chapel, FL received second place as he rounded out the weekend with 153 strokes. Right behind him was Reggie Zhu of Winter Garden, FL, with a two-day total of 157 strokes. Zhibo Zhang of Dalian, China captured the first-place finish in the Ernie Els Boys 11-13 Division with a two-day total of 169 strokes. Michael Yesbeck of Middleton, WI earned the second-place trophy as he rounded out the weekend with 193 strokes, right behind him was Ethan Keys of Wesley Chapel, FL, with 200 strokes. 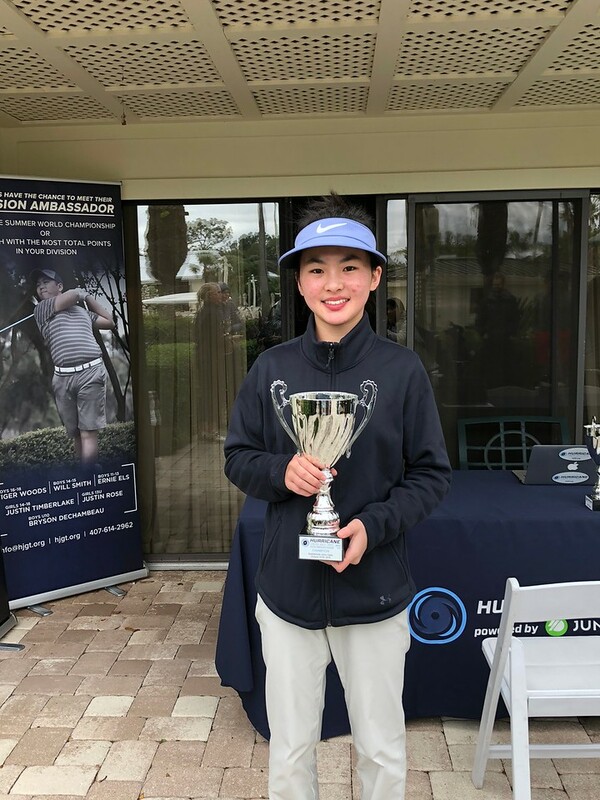 Jiayang Lu of Chengdu, China was on point in the Justin Timberlake Girls 14-18 Division as she finished the weekend with 155 strokes. Mariana Mesones and Milla Sagel, both of Wesley Chapel, FL, were right behind her as they tied in second place with 157 strokes.